Tham & Videgård work on the project to replace the old and run down metro station building and electrical substation with an innovative and environmentally friendly mixed use building. 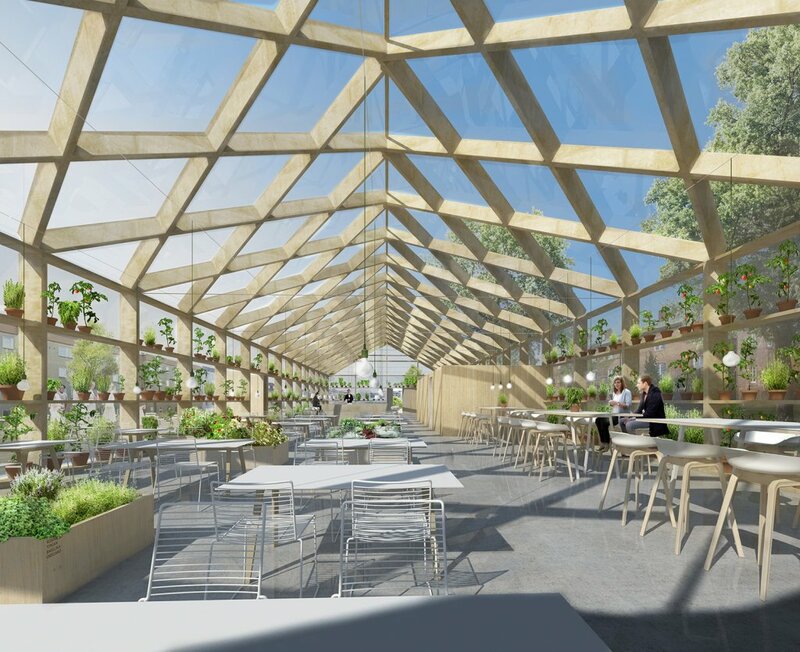 The new building will include activities such as restaurant, cafe and shops at street level and a glass house restaurant with outdoor dining on the roof terrace. The existing metro station and ticket hall will be refurbished and fit into the new construction. A new lift from the ticket hall to the roof will cater for better accessibility to the Högalidsparken park and church. Offices are placed on two floors between street and roof levels. A generous roof terrace connects to Högalid park levels. The greenery of the park is extended and integrated with the roof terrace, forming a visual green link between street and park levels. The building will be constructed with energy- and resource efficient building materials and its exterior characterized by large glass windows and natural solid wood. With the subway station directly beneath the building, conditions for achieving high energy efficiency are very good: every train passage push large volumes of 18-degree air through special evacuation ventilation shafts, which then through heat exchange technique can be used for both heating and cooling. In addition, the transformer substation generates a lot of heat. The aim is to cover the building’s entire energy needs. 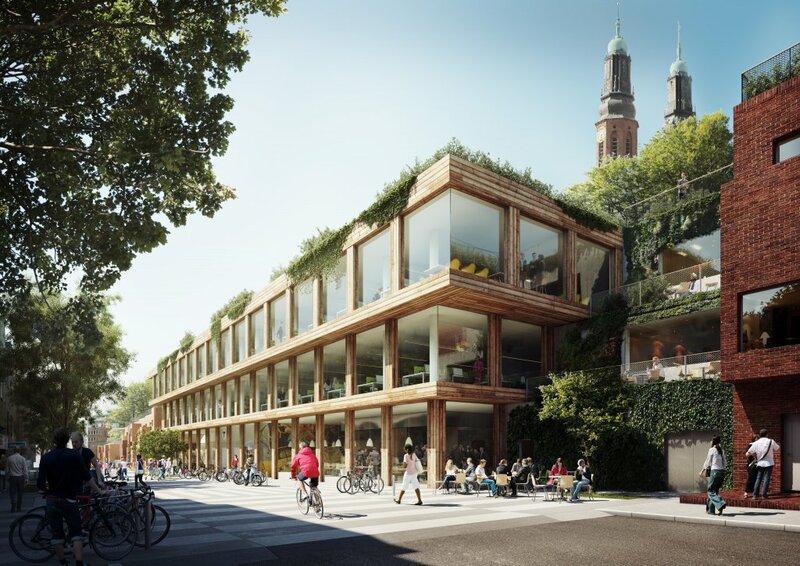 The project will add new public activities along Hornsbruksgatan and also improve accessibility to Högalidsparken. The objective of the transformation of the area, which also includes new housing and improvement of the park in relation to the church, is to contribute to an urban and vibrant street environment with several new venues.